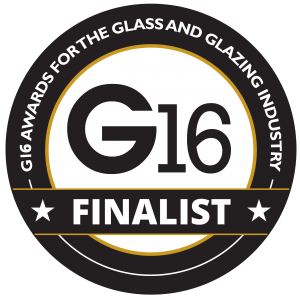 Ravensby Glass is proud to announce the success of winning a major industry accolade by being voted Glass Company of the Year at the G14 National Glass & Glazing Awards. The event recognises innovation, development and commitment in the glass and glazing industry, and the prize was presented at a gala evening in the London Hilton on Park Lane hosted by Scottish comedian Kevin Bridges. 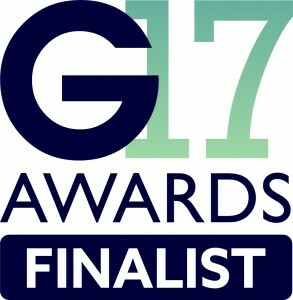 After being shortlisted in the manufacturing category in the Courier Business Awards last year, and a finalist in the G13 Glass and Glazing Federation awards, the success of winning the G14 was greatly welcomed. 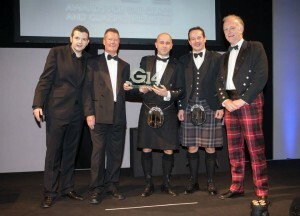 Ravensby already achieved professional recognition last year as the winner of the Chief Executive’s Scottish Engineering President’s award for outstanding achievement.